RLM Financials are fashion-specific, feature-rich and fully integrated with the RLM ERP system. Why spend time and money customizing? Get started now with best-in-class RLM Solutions. Industry Experts: RLM Apparel Software is the leading fully integrated Apparel ERP, PLM, & Financials enterprise system designed specifically for the fashion industry. RLM Software Solutions enable clients to efficiently track and manage all their business processes and collaborate with global teams and suppliers. RLM is committed to providing our clients with the technology and services necessary to accelerate their growth. Industry Specific: RLM Apparel Software is totally focused on fashion and has amassed the most knowledgeable, trusted consultants and implementation specialists in the industry. We specialize in process optimization, training, phone support, onsite project management, software personalization, and custom programming. The RLM Team is committed to providing fashion brands with best-in-class solutions and unsurpassed service and support. Leading Brands: With end user counts ranging from 10 to more than 500, RLM Apparel Software is pleased to play a role in the success of many of the fashion industry's largest and most innovative brands including Tory Burch, Michael Kors, CK Accessories, Halston, Jordache, Wacoal, John Varvatos and other retailers and manufacturers. 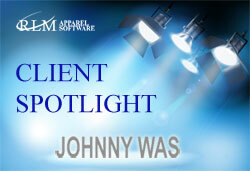 Click here to learn more about the clients we serve and value and how they've benefited from RLM Apparel Software. 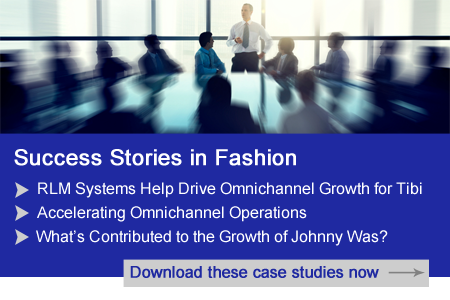 "Because it consolidates all of our operations into a single business system that runs in the cloud, RLM Apparel Software enables us to provide a rock star IT experience for the entire John Varvatos team. We can all be more productive even when using mobile devices from any location."